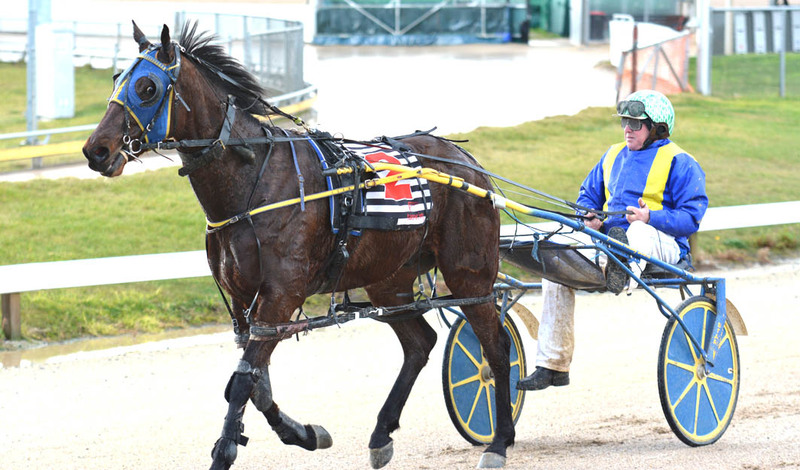 IN-FORM pacer Demonstrative is in a strong position to complete a hat-trick in Hobart on Sunday night. Winner of his last two starts, Demonstrative has drawn three, with trainer Eric Jacobson confident the son of Western Ideal can continue his winning ways. “He’s been up for a while, but surprisingly he seems to be enjoying it,” Jacobson said. “It took a bit of time to get him to come up right, but at the moment he is in great form. “He likes standing starts, so the conditions on the weekend will suit him and I expect him to be hard to beat. Citing The Dip as the one to beat despite his 20-metre back mark, Jacobson believes each runner in the field boasts a realistic chance of scoring. The Dip won under similar conditions a fortnight ago when first-up from a four-month spell. “Overall it is a pretty even field,” Jacobson said. “It wouldn’t surprise if any of them won given the right run on the night.